I generally travel a 50 mile radius. Tim has been trimming Stetson my dressage horse for a year now. What a difference. Last night as I watched Stetson move in the arena, I could see how his extended trot has become much better. He is lighter and extends more. His movements are much bigger and he just seems to float across the arena. At nineteen he looks better then he ever did at twelve. Thanks Tim. Tim is the best farrier that I have had and always does an awesome job. He is very dependable. He responds to phone calls and texts within the same day and, if I have an unexpected problem that comes up, he will make time in his busy schedule to take care of it right away. More importantly, he is very gentle and my horse totally trusts him. I cannot say enough good things about Tim! He has been trimming both of my mares, one of which is very picky about who she’ll let handle her, for just under a year now and I am always blown away by how kind and patient he is with them. Not only is he a talented trimmer, but he is extremely reliable and professional which is often a rarity in this profession. 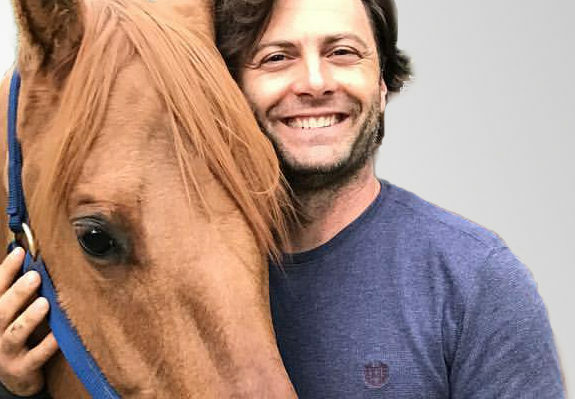 Tim’s natural approach to trimming is 100% in line with my horsemanship ideals and I am so thankful to have him in mine and my girls’ lives! 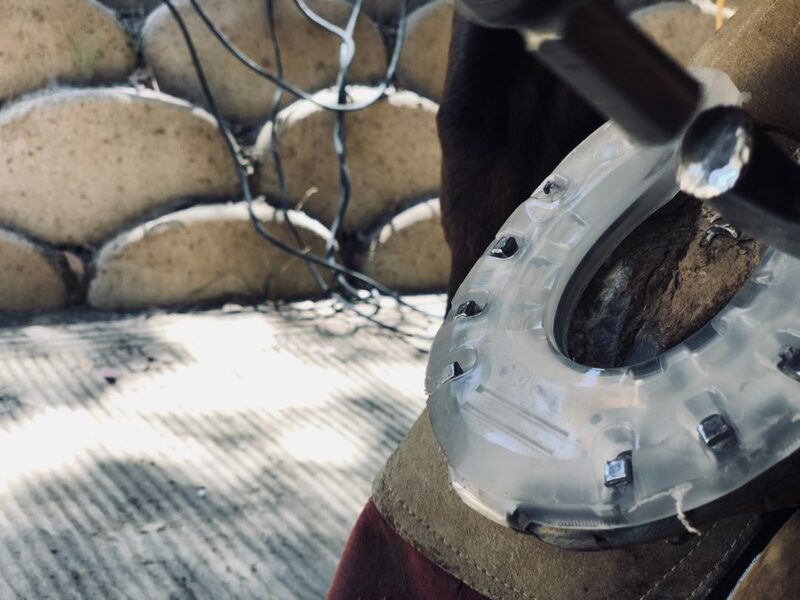 Tim Prindle is truly an exceptional farrier who combines extensive experience/education with professionalism, passion, and concern. He is very kind and patient with the horses and communicates well with the owners to answer all their questions. He has worked with our four horses – who compete in jumpers, dressage, and hunters, and range in age from 5 to 18 – and we saw significant improvement in the overall well-being and performance level of all our horses as a result. Tim is innovative and strives to help our beloved equine partners be at their best. We are so grateful to Tim and would highly recommend him. 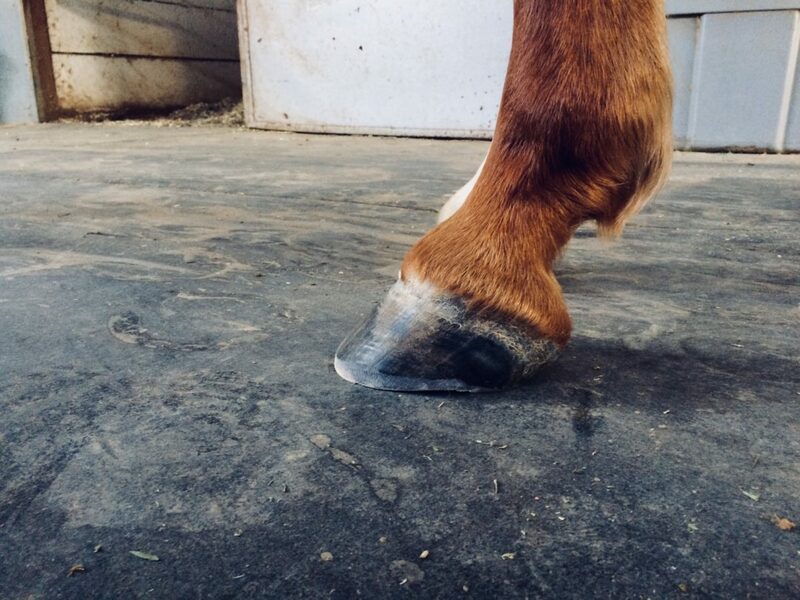 If you think you’ve “tried everything” to help your horse without success, give Tim a chance. Our Thoroughbred mare had terrible feet and we struggled for years with various shoes and pads but could not keep her comfortable. In just a few months under Tim’s care, we’ve seen her feet literally transform to where she is now a barefoot candidate! Many thanks Tim for your excellent work and dedication! My 26-year-old American Paint Horse is going strong thanks to Tim’s exceptional barefoot trimming and creative use of innovative shoeing products when barefoot wasn’t getting the job done on front feet. Professional and always patient with an older horse that can be a bit testy about lifting up those hind feet. Thanks Tim! My precious 31-year-old Percheron/Mustang cross is barefoot and moves around surefooted and happy with Tim’s excellent care. So many past disappoints with unreliable farriers. Tim is always there on schedule and has only done good with my horses feet. Tim is so good working with the horses (kind and patient) and he works with my boy’s other health issues. A true professional who does consistently excellent work! Tim brings a masters touch to the trade. I truly believe he approaches each horse no different than daVinci approached Vitruvian Man, with geometric precision and great respect for anatomy and balance. Thank you, Tim, for your determined dedication and artistry. Well, what can I say about this incredible Farrier… He’s fricken fantastic is what I can say!!!! Tim has been the difference in whether my horse(s) are able to ride like the wind in comfort, or limp around with ouchy hooves!! Whenever I have been in need, even though it isn’t on his schedule for that day, he makes the time to work it out and fix any unforeseen issue… being in the forest terrain it happens on occasion. I also took on a wonderful 5 yr old paint rescue who had been diagnosed with Severe navicular and the vet said he would have to be put down within 6mos!! Well, not the case when Tim Prindle came on the scene… no sir, this gorgeous sweet 16h paint went from near death to a thriving life!!!! One trim and treatment from Tim, and my pony was able to be weaned off of Bute, and we have neve looked back!!!! I am so grateful to Tim, and his warm and calming, yet gregarious personality, I can’t say thank you enough for all you have done for my horses and all you continue to do. Love ya lots!!!!! Farrier Tm has been shoeing my 26 year old mare (Arabian) for two years. I am totally satisfied with his professional care and expertise. Riyah started out as lame in the front after being rescued. Tim balanced her and corrected her previously uncared for hooves. I ride her on the trail on a regular basis now and that is such a gift! Tim is courteous and prompt. I love how he considers my girls needs each visit and makes adjustments in his knowledgeable farrier skills. Thanks Tim! 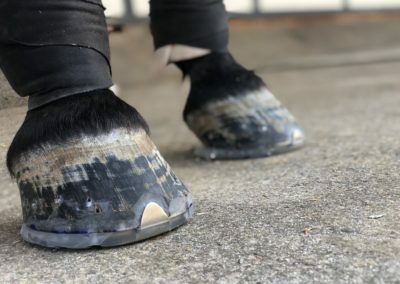 I have three horses who are all barefoot. A gelding, a navicular syndrome-diagnosed mare, and a yearling stud. He’s great with all three of them. He’s organized, consistent, and loving & patient with the horses. Couldn’t recommend anyone better! I found Tim after an exhaustive search of quality Barefoot farriers…. I had experienced a couple of farriers that were unreliable. Once Tim started trimming my horses I knew right away he was competent, consistent and reliable and very thorough. He explains everything if you have questions and always communicates. Tim has been trimming my horses for 10 years and I am thankful that he still is available! Tim has been trimming my horses for about eight years and is incredible even with my most difficult ones. No horse is too big of a challenge. I have everything from Gypsy Vanner’s down to miniature horses and donkeys. Anyone looking for an amazing Farrier should give him a try. 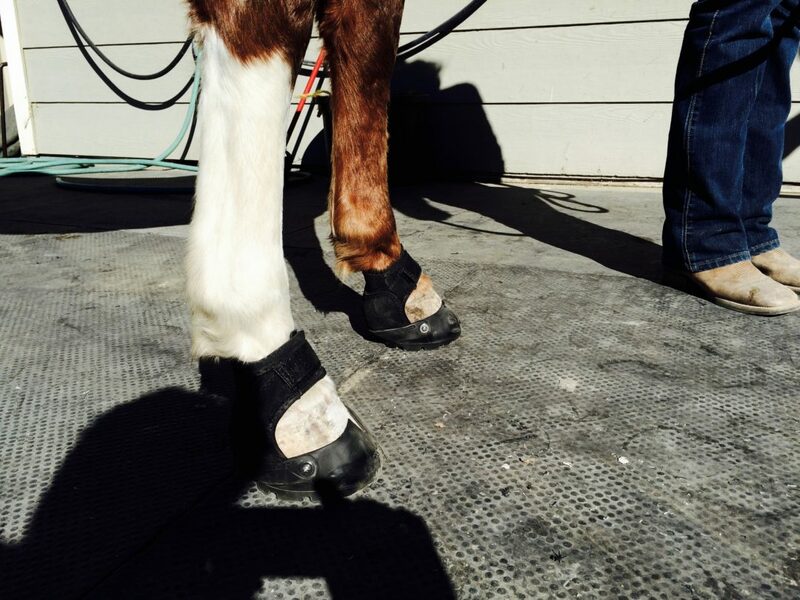 All of my horses are barefoot but he does put shoes on them as well. I never have any question about referring him to friends. I know they’ll be happy.